Smartphones aren’t the only devices needed to enable virtual reality experiences now, with Google bringing 360-degree content to standard Web browsers. The latest version of Google Chrome brings native support for WebVR content, which essentially means that VR content can be viewable on Web sites through Chrome. This could mean another potential avenue for access to VR content for consumers, according to Gabe Weiss, customer experience and innovation strategy lead at SapientRazorfish. “This is a great way to gain more eyeballs and access to VR-focused experiences, because you don't need a headset to try it out,” Weiss told the IoT Daily. “In the short-term it will drive more awareness and sampling of VR-like experiences, which should help drive demand for more hardware,” he said. However, another agency executive said that Web-based VR capabilities shouldn’t have a strong impact on general awareness of VR. “I hope that the content transcends the technology,” Chad Vavra, director of experience strategy and design at Isobar U.S., told the IoT Daily. “People should love the stories and the way they are told, not the technology that they are told in,” he said. Navigating a virtual reality experience on the Web is similar to the user experience of 360-degree photos and videos on Facebook and YouTube. With a VR headset, the user can look around to navigate. Without a headset, the user can navigate by moving his or her mouse on desktop or dragging a finger on mobile or tablet. 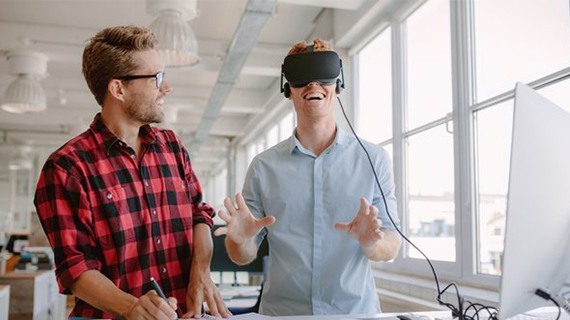 Regardless of the implementation, there seems to be value for brands in virtual reality as a medium, according to Isobar’s Vavra. “I believe that product placement in VR is going to be a quickly growing channel, similar to television,” Vavra told IoT Daily. Viewing VR content on Chrome currently requires a Daydream-ready phone and Google’s Daydream View headset and controller or running Chrome on mobile or desktop with no headset. Google says it plans to add support for additional VR headsets in the coming months, including its Cardboard viewer.